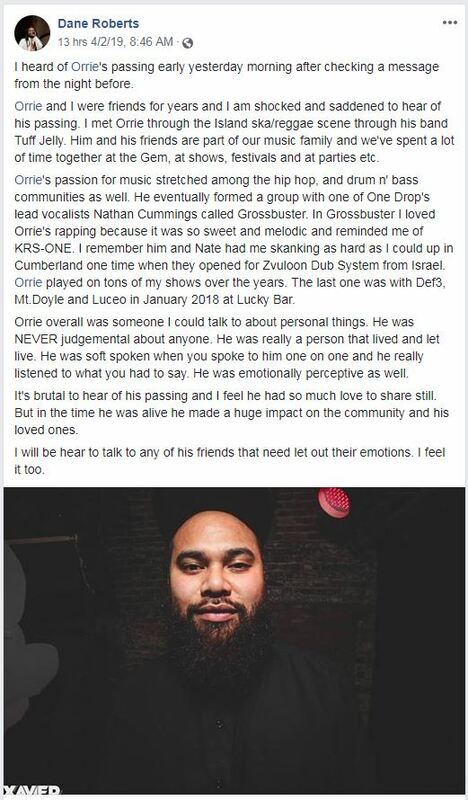 The final photo we took of Orilla covering his performance at Lucky Bar March 22, 2019. 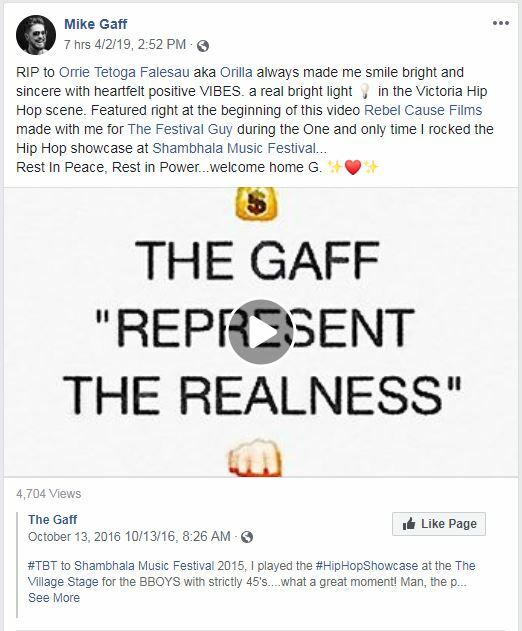 Victoria hip-hop artist Orrie Falesau, known also by his stage name Orilla, has died. he was 30 years old. 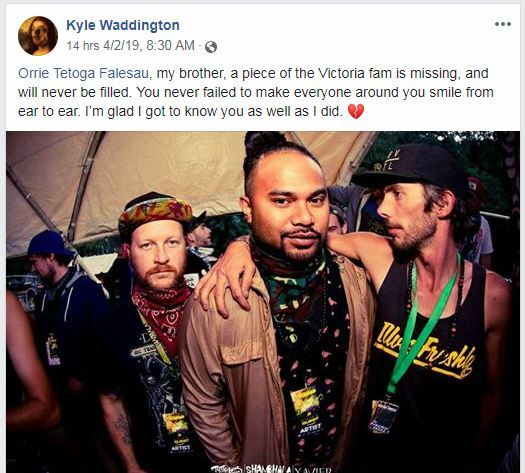 According to a GoFundMe page setup to support his partner and family, Falesau died in his sleep. 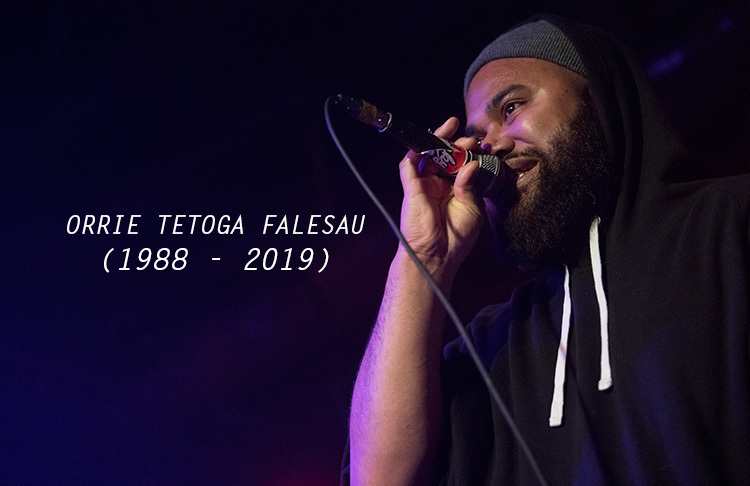 Born in the South Pacific island nation of Tuvalu, Falesau moved to Canada as a child. 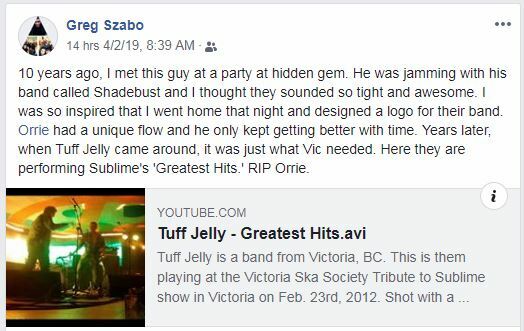 According to posts on his Facebook profile, he moved to Victoria from Alberta in late 2008. 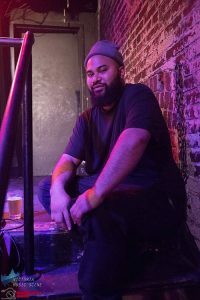 In 2014, he became a featured guest rapper for live electronic artist Grossbuster which eventually became permanent duo Orilla & Grossbuster. 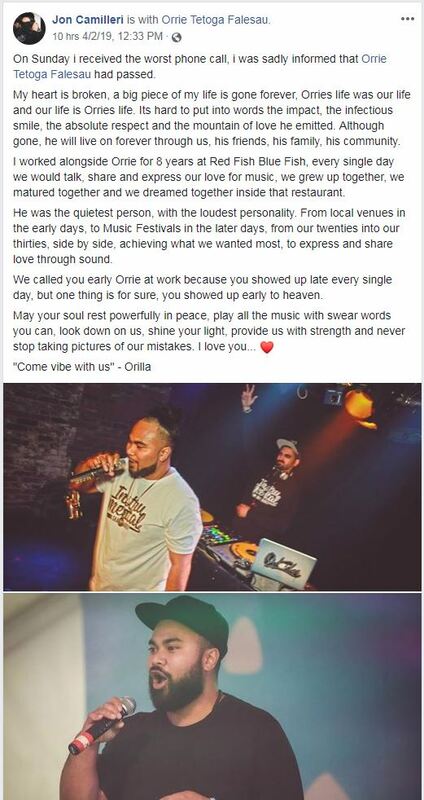 Orilla has also performed as a guest for Illvis Freshly and DJ Murge. He most recently performed with Mt. Doyle and Phillionaire at Lucky Bar March 22, 2019. 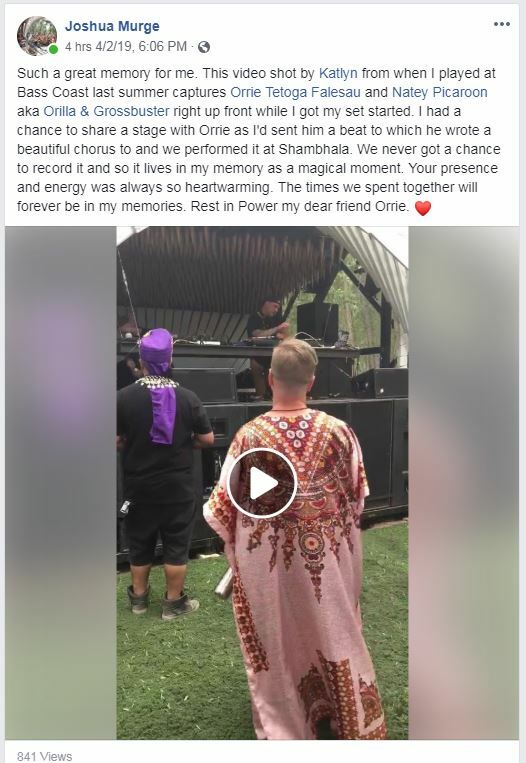 It was his final show before his passing. 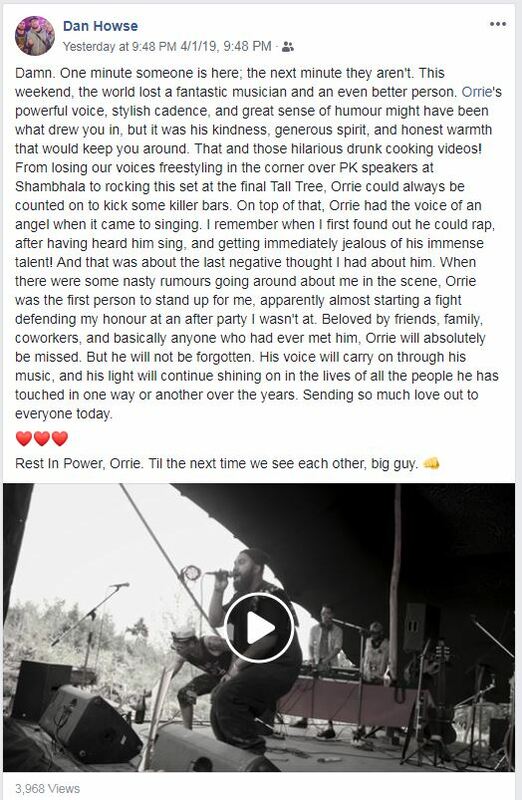 We were fortunate enough to be at that Lucky Bar show and shot this footage of Orilla performing. Orilla & Grossbuster were scheduled to open for Righteous Rainbows of Togetherness at Capital Ballroom April 12th. 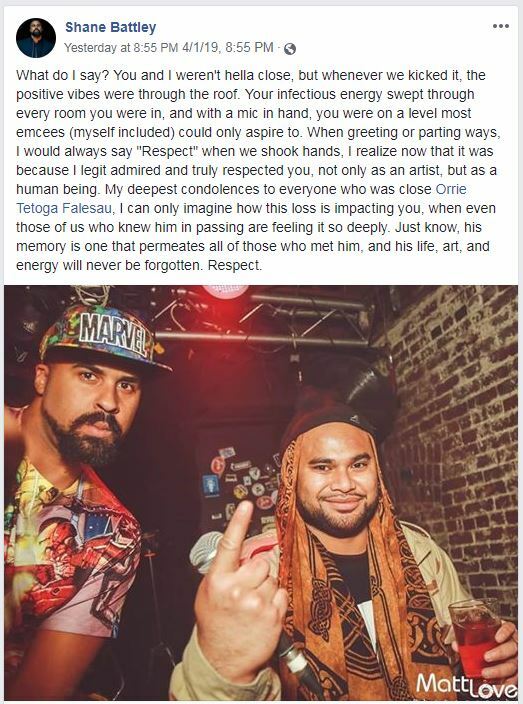 Since news of Falesau’s passing broke, many in the music scene have paid tribute and shared memories of him in social media posts. Screen captures of some are below.